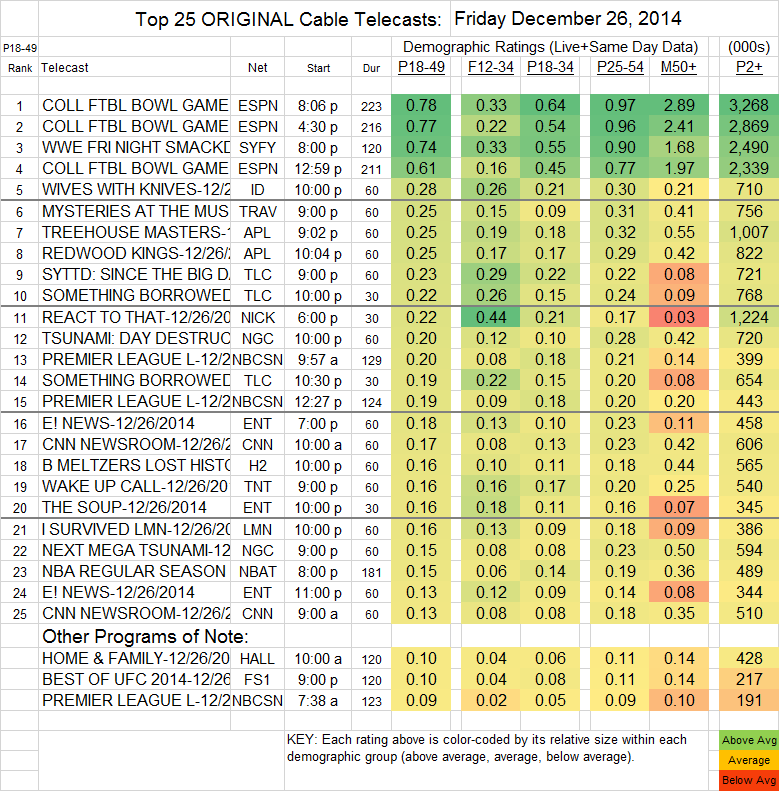 3 of Friday’s top 4 cable slots went to ESPNs COLLEGE BOWL games, in the 0.78-0.61 range. The other top slot also went to sports, with Syfy’s WWE telecast at 0.74. Perhaps aided by the slim competition, ID’s WIVES WITH KNIVES, jumped 0.12 from last week to 0.28, and Travel Channel’s MYSTERIES AT THE MUSEUM rose 0.08 to 0.25.